Investment trusts might be one of the oldest investment vehicles, but they are proving to be as popular as ever. This month, Terry Smith, of Fundsmith fame, launched his Smithson (SSON) trust. Clearly the cult of the star fund manager has not faded, with the trust raising a record-breaking £822.5 million when it listed on the stock market. Smithson was the biggest investment trust launch ever, beating the £800 million raised by Neil Woodford when he launched the Patient Capital Investment trust three years ago. Smithson will be a global trust focusing on small and mid-cap companies. It will follow a similar investment strategy to the highly successful Gold Rated Fundsmith Equity which is an open-ended fund with a large-cap bias. This trust will be managed by Simon Barnard and Will Morgan, with Smith overseeing the strategy. The trust’s initial target was to raise just £250 million on launch. 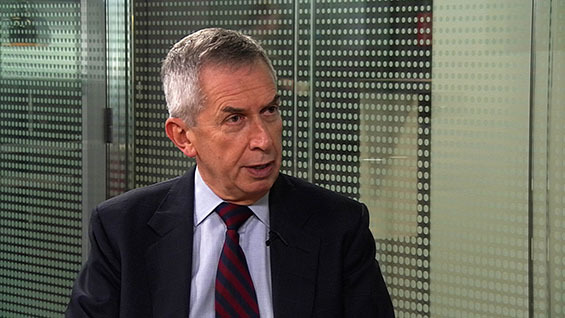 Fixed income fund manager, Ian Spreadbury has announced he will be retiring from Fidelity after more than 40 years in the industry and 23 years at the firm. Spreadbury confirmed that he will step down at the end of the year, handing over the reins to his Gold-rated Fidelity MoneyBuilder Income and Extra Income funds to Sajiv Vaid. M&G is hoping to rise £250 million with a new investment trust, targeting the private credit market. The trust will be run by Jeremy Richards, who has been responsible for managing the fixed income team on Prudential’s life and annuity funds since 1993. M&G has been managing money in private credit markets for over 20 years, but this is the first time it has launched a fund in this sector for private investors. M&G said around 70% of the trust will be in investment grade debt, but the trust will also access commercial mortgages, asset backed securities, high-yield corporate bonds and subordinated bonds. The trust aims to pay a long-term dividend of three month LIBOR plus 4%. A new “green” investment trust has appointed Aberdeen Standard Investments to manage its portfolio ahead of its IPO. This new Global Sustainability Trust will invest primarily in private market investments that have a positive environmental or social impact. The trust is expected to list on the London Stock Exchange at the end of November, and it hoping to raise £200 million at launch. The managers say this portfolio will enable investors to get exposure to a diversified range of companies involved in real estate, infrastructure, natural resources and private credit. Each individual holding will be assessed for its risk return profile as well as its environmental or social impact. BlackRock is launching a new range of six ETFs, all of which will deploy an environmental, social and governance (ESG) screen. This will effectively rate individual companies on their track record on these ESG factors. The range will screen out certain sectors, including tobacco, thermal coal, and nuclear and controversial weapons. This range will offer ETFs tracking different geographical markets. This will include a global ETF, an emerging markets ETF, as well as a specific Japan, US and Europe ETF. The total expense ratios will be between 0.07 and 0.2%. JP Morgan Asset Management has launched three active equity ETFs, all of which will also use an ESG-screen. These ETFs will follow offer a US, Europe and global equities option. JP Morgan says these products offer investors “index-like portfolios” with characteristics similar to their respective benchmark, in terms of risk level and portfolio construction. However as a “research enhanced” ETF, these will use JP Morgan’s own research to take small overweight or underweight positions. The three ETFs are JPM Europe Research Enhanced Index Equity (JREE), JPM US Research Enhanced Index Equity (JREU) and the JPM Global Research Enhanced Index Equity (JREG). They will be listed on the London Stock Exchange, as well as the German and Italian exchanges. Axa IM is restructuring the Axa Framlington Financial fund to give it more of a focus on new fintech companies. The fund will be renamed as the Axa Framlington FinTech fund. This new remit will enable the fund to invest in companies providing hi-tech applications and services for banks, insurers, and investment companies. It will also continue to invest directly in these traditional financial companies as well. Axa IM says this reflects changes being made to the financial services landscape. The fund, which launched in 1986 will continue to be managed by Vincent Vinatier. Investment platform Alliance Trust Savings has been sold to rival Interactive Investor in a £40 million deal. ATS was owned by the investment trust Alliance Trust (ATST) which has been undertaking a strategic review of its business over the past couple of years following poor performance. It has previously sold its in-house investment management arm and its private equity assets. ATS, like Interactive Investor offers a fixed price model. As with other platforms, they enable investors to buy, sell and trade a range of investment including shares and funds. Interactive Investor currently has £20 billion of net assets under administration, and 300,000 customers. This will rise to £35 billion and 400,000 customers following the completion of this deal.